Evaluation of accessibility within a tabletop context is much more complicated than it is within a video game environment. There is a considerable amount of variation in game systems, game mechanisms, and interaction regimes. Games may be entirely verbal, or completely non-verbal. They might be real-time or turn based, or based on simultaneous actions. They can be competitive or co-operative, or shift from one to the other during a single game session. They might involve visual pattern recognition or force players to memorise game state without visual cues. They may involve touch, or smell. They might involve social deduction or betrayal. They can encompass all sensory faculties, in differing degrees. Almost all games have accessibility considerations that should be taken into account, but there is currently no comprehensive tool by which this can be done that encompasses the rich variety of tabletop gaming interaction metaphors. In this paper, the authors discuss the heuristic lens that is used by the Meeple Centred Design tabletop accessibility project. This is a tool that has been applied to one hundred and sixteen games to date, and the full results of these have been published for analysis and consideration within the wider tabletop gaming community. The playing of games is an important source of social capital (Heron 2012, 2016; Lenhart et al. 2008) and a pre-requisite for the effective integration of individuals into the cultural economy. Video games in particular are a vibrant element of the modern recreational landscape. The highest profile titles have an equivalent sociocultural impact as blockbuster movies, chart-topping albums, and successful books. 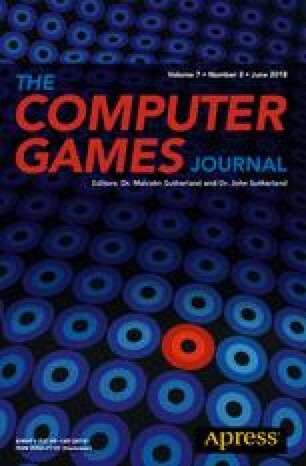 Within the field of game studies, the accessibility of gaming titles has often been addressed (c.f. Heron 2012, 2015; Di Loreto et al. 2013; Westin and Dupire 2016) although perhaps in practise it is more honoured in the breach than in the observance (Heron 2012). Recent releases, such as Naughty Dog’s ‘Uncharted 4’ have shown though that accessibility can be a mainstream issue, and that adherence to accessible design can generate wide-spread praise and recognition. This bodes reasonably well for the industry. However, parallel to the growth of video games as important cultural artefacts is a modern Renaissance in traditional tabletop games. These games do not have the mainstream impact of their digital cousins, and suffer from significant historical baggage when they are introduced to new players. Nonetheless, there has been a substantial rise in the cultural penetration associated with the new wave of what are sometimes known as ‘designer board games’. To go with this, there has been a marked increase in the number of players, critics and advocates within this relatively obscure area of game culture. This has in recent years led to a degree of recognition of the hobby in the wider area of game studies. The digitally focused Game Developer Conference (GDC) has offered co-located space for the discussion and presentation of tabletop games. Firaxicon, a convention for fans and developers of Firaxis video games, included space for its licenced and related tabletop game off-shoots. This is in addition to the remarkable growth in attendance at dedicated tabletop gaming conventions such as Origins, Gencon, BGGCon, and the UK Games Expo. As the popularity of the hobby increases, so too does the scope for accidental exclusion of marginalised groups. Many games on the market are inaccessible to those with visual, physical, cognitive or communicative impairments. Often inaccessibility is an unavoidable consequence of game design decisions. Games which enforce dexterity or tactility of components as core game elements are unlikely to ever be accessible to those with physical impairments, as an example. However, there is a much more pervasive core of inaccessibility as a result of component choice, optional aesthetic considerations, and the type and number of individual tokens available in the box. In this paper we discuss the Meeple Like Us project. This project is focused on mapping out the accessibility landscape of tabletop gaming. The project has a focus on examining not only the obvious issues but also those that stem from the intersection of compounding impairments. The core of this project is a heuristic evaluative toolkit that has been applied to date to one hundred and twenty relatively high-profile table-top games. From this, a comprehensive accessibility teardown has been written for each. We present the heuristic framework in this paper with reference to some specific examples of inaccessibility in tabletop games. We argue that there should be greater inclusion of diversity when play-testing game titles, but hope this framework serves as a useful preliminary exercise for game designers and developers. Full participation in popular culture offers an important opportunity for people to build cultural capital and socially integrate with others in a community (Lee et al. 2015; Willekens and Lievens 2014). For youth in particular, cultural literacy involves a wide-variety of transmedia products, encompassing movies; music; novels; video games; and board games. Appreciation of modern popular cultural products is no longer simply a passive act of consumption. Instead it is a process of individual and communal construction through interpretation, debate and an emergence of collaboratively constructed critical perspectives (Fiske 2010; Harrison and Barthel 2009). Appreciation of popular cultural products facilitates the building of common conversational ground, and permits friendships to accrete around a set of shared cultural experiences. It is not however the case that all individuals have equal opportunity to participate in this process. Many cultural products, popular or otherwise, remain either physically or sociologically inaccessible to large segments of the population. For some, this may be a case of simply not seeing how cultural elements have value. For others, the value is apparent but the products themselves are exclusionary because they do not, or cannot, take into account physical, cognitive and socioeconomic accessibility. Most industries have made considerable effort to increase the accessibility of their products, for example with close-captioned movies or television shows, audiobooks, or braille documents. Gaming products though remain in many cases obstinately inaccessible (Heron 2012). The difficulties and complexities of developing accessible video games are now receiving some attention from the industry. Progress is being made, albeit at too slow a rate to generate great enthusiasm. However, gaming as a recreational activity encompasses a wider range of forms than popular video games. There exists a vibrant, and growing, renaissance in the area of tabletop board and card games. The past 20 years have been the best years that the industry has known in terms of economic impact and popular appreciation. The stuffy reputation of board games as being centred around old family classics such as Monopoly, Cluedo and Risk is being replaced by a marketplace of innovative and impeccably designed modern titles with a distinctly international feel and appeal. Games such as Settlers of Catan, Carcassonne, Pandemic, Ticket to Ride, and Dominion have each spawned dedicated followers of fans. They have inspired hundreds of talented designers to focus on developing new titles and innovating upon the ones that have come before. Buoyed by relatively easy access to start-up capital through crowdfunding platforms such as Kickstarter (Roeder 2015), the hobby game market in 2014 swelled to an estimated $880 m in sales in the US alone. Almost $200 m of that was directly linked to board games (ICV2 2015). It is difficult to truly put a figure on the current size of the industry, but there is every reason to expect that it will continue to grow by double digits on a yearly basis for the foreseeable future. Board gaming represents one of the easiest ways for groups of people to sit down and enjoy a shared gaming experience with considerable opportunity for building social capital between friends and relatives. There is a growing body of evidence too that suggests beyond offering opportunities for friends and family to enjoy one another’s company, gaming (and board gaming in particular) offers an effective avenue to explore play therapy interventions (Carroll 2002; Hromek and Roffey 2009; Pon 2010). Numerous popular web series act as advocates and curators of this culture, helping to explore both the social and ludic implications of game design choices and opportunities. In most cases, they are being collaboratively crowdfunded to do so in exchange for little more than the value their viewers perceive in the commentary they offer. In almost every metric one might choose to measure it, this industry is currently engaged in a long-lasting and feasibly sustainable golden age. Accessibility as a concept often focuses on the day to day realities of functional living. We argue that access to the products of culture and the means to satisfying recreation is every bit as important in enabling a genuinely inclusive society. Board gaming lags considerably behind even video gaming when it comes to the accessibility of the products that are on the market. Accessibility is a multi-channel challenge where subtle and nuanced interactions of impairments may create complications as a result of intersectionality (Heron et al. 2013). This means that there is rarely a single correct compensation, especially when considered within the context of the complexity of formal rules-based systems such as board games. For those with physical impairments, it is often simply not possible for them to fully engage with a game without the intervention of a third party. Most board games are physical products, with spatially complex game-states and multiple, often small, components that are interrelated in often subtle ways. The location of components on a game board may be significant, and the margin of error for meaningful positioning may be very limited. Some components may be very small and fiddly, occasionally difficult for even unimpaired players to effectively handle without frustration. A standard card-game may require multiple players, each managing multiple decks of cards, with some communal representation of game-state between them. Some games require the physical flipping of game tiles, and the layering of visual markers on these as the game state changes. Others require a constant stream of collection and discarding of small cubes, and the placement of miniature people (known in board gaming jargon as ‘Meeple’) within a spatially complex and state-dependent representation of a fantasy city. Some games require the ability to take a long term view from an elevated position to consider the strategic implication of decisions. Such games can be played, with difficulty, by those with impairments provided they have people around them willing to compensate for interaction difficulties. Such interventions can be slow; be difficult to perform; or simply interrupt the flow of gameplay. More importantly, they do not permit the impaired player to interact with the game themselves, restricting autonomy and the empowered wish fulfilment that is a core feature of many titles. Some games require a player to have cards or resources that are hidden from others—in such games, an impaired player either cannot fully participate or must be supported by another individual who cannot play the game. A game as common as poker cannot be fairly played if one’s cards are known by another active participant. Game-states are often represented in heavily thematic ways. This disadvantages those with visual impairments. Font choice may be sub-optimal for readability, or the sheer number of choices on a board may require text size to be uncomfortably small. Many games involve lots of components, some of which may be colour coded, or difficult to make out against the backdrop of the game-board. The physical orientation of pieces played on a board may have special meaning, so even if symbols can be visually ascertained, they may have subtleties of positioning that complicate interpretation. Cards may have considerable amounts of text, densely written and full of complicated instructions. Again, these do not prevent someone from playing if they have others around them willing to compensate, but in doing so it moves the responsibility from the game developers onto the players, and risks much of the flow that comes from effortless and absorbing game-playing. Those with cognitive impairments encounter more problems—rules may be complicated or heavily state dependent, resulting in complex compound conditionals such as ‘If the villain has this card in their deck, then all attacks of this particular type are at + 1 for this round only, but if they have a different card then all damage they do is at − 1 unless it’s an electricity based attack’. Such rules are difficult enough for most of us to fully understand. In some games where the rules themselves are modifiable familiarity with the base rule-set will not meaningfully simplify the cognitive cost of participation. Similarly, game-state itself might be complicated—even if the rules are simple, the end stages of a game may involve highly interrelated physical state, where ascertaining the best way to contain an escalating situation is part of the logic puzzle involved. Many games embrace failure as a likely outcome, which can add an additional level of frustration for those that feel already disempowered by complexity. Most require specific symbols, locations and orientations to have particular meaning within the game-state, adding a burden of recall on the player to understand not just the game-state itself, but the abstract mechanism that exists for representing it. Those with hearing impairments are perhaps least affected by board game design, but some games have accompanying soundtrack CDs which provide game-dependent cues to which all players must respond. There exist a variety of accessible versions of games such as Chess and Monopoly. These are well-meaning but at best a partial solution to the problem because they do not address the issue of full participation in popular culture. Accessible versions of chess, Monopoly and Scrabble are welcome but limiting people to these titles severely restricts the scope of participation in board gaming culture for those with impairments. There exist some bespoke projects to offer accessible versions of modern board game titles. However, such solutions are also only partial because they are of use primarily to the blind, and only to the subset of blind players (estimated by the National Federation of the Blind to be around 10% of the legally blind population) that are conversant with braille. Even within this limited solution space, the nature of braille means that certain long text passages would not be possible to convert into a tactile format within the narrow confines of a physical token or card. Advice within the gaming community for those with impairments tends to focus on ‘Do it yourself’ hacks and compensations. That can work as an individual solution to an individual problem but lack generalisability and ease of support. Accessibility is about removing the barriers that stop people playing. Those barriers are sometimes physical, sometimes philosophical, sometimes economic, and sometimes in terms of inclusiveness of representation. A large portion of the teardowns performed by Meeple Like Us are about disabilities. Accessibility though is a much broader topic than that and it’s important that a review of how accessible a game is takes this into account with the same degree of seriousness as the other barriers. A real, lasting solution must involve raising everyone to the same standard rather than attempting to create different, incompatible categories of accessible games for those with impairments, or to focus on ineffective compensation strategies such as braille dice or overlays. However, this is a complex challenge. The ‘feel’ of a game is important, and thematics are an important aspect of that feel. A game based around pretending to be superheroes for example has an enhanced feel as a result of cards being ornamented with comic-book art and fonts. We cannot address accessibility issues by ignoring the importance that theme plays in the overall experience. Board game developers are already in many ways committed to particular designs, thematics and rule-sets. We cannot address the issues by relying on developers to redesign their games so that they are fully accessible, at least until a sufficient business case can be made for accessibility as a valuable market opportunity. Mapping out the contours of this topic is an important first step in being able to offer a meaningful strategy for raising the floor on accessible design in board games. What’s needed is a programme of research aimed at examining potentially external sources of accessibility compensation such as digital apps, dedicated cognitive support tools, and learning aids and tutorials that come from outside the box of the game itself. Before that work can begin, we must first understand the nature of the problem. There are many ways that a topic like this can be addressed, including via the ecology of human performance (Dunn et al. 1994) and the person-environment occupation model (Law et al. 1996). These however are outside the scope of this specific paper which is focused primarily on the specific intersections of player and game design. Future work will likely draw more heavily from insights permitted via these techniques. Visual impairments, including colour blindness. Cognitive impairments, focusing on fluid and crystalised intelligence. Physical impairments, in both gross and fine-grained motor skills. Communication impairments, relating to the ability to speak, hear or otherwise communicate. Socioeconomic impairments, with regards to cultural inclusion and economic considerations. Intersectional issues, in which particular combinations of impairment may have additional impact. The toolkit is presented as a series of topic for contemplation—not all will be relevant to all games, and the context of the game itself may introduce complexities that the toolkit itself cannot be generalised to accommodate. It requires significant understanding of the subtle interrelationship of accessibility concerns (Heron et al. 2013) and a familiarity with the game in question that can only come from direct or observed experience. As such, it is not a tool that could yet be adopted for a general audience in ascertaining the accessibility issues of board games. It does however offer an opportunity to raise awareness of the kind of issues that may be encountered. The toolkit is in part a recommendation regime, designed to allow the Meeple Like Us project to make meaningful suggestions as to what games people may want to avoid, and which they may be surprised to know they can effectively play. It is also in part a tool for offering meaningful suggestions on what must be considered when improving the general accessibility of tabletop games. There are significant logistical concerns with testing large numbers of games with individuals with impairments, and this toolkit is not intended to replace effective, directed user testing. Instead it offers a low-cost, reasonably quick way to highlight important issues that must be considered before a gaming group considers a title for inclusion at the table. The limitations of this approach are discussed in Heron et al. (2018). Of all the issues considered in terms of accessibility, colour blindness is the one that it easiest to deal with and most consistently ignored. However, in this category of the toolkit we assess a wide variety of elements that will impact on visual impairment. Our recommendations primarily work on the assumption that we are not dealing with total blindness but instead on one of the more common visual impairments that permit some degree of visual differentiation with appropriate support. Table 1 shows the elements of the toolkit that relate to those with visual impairments. For cognitive impairments, it is usually difficult to generalise feedback because of how tightly dependent an analysis is upon the specifics of rules, player agency, and the way the game flows. As such, the lenses in this section of the toolkit are intended to direct attention towards contemplation of the game as a whole, and how its inherent uniqueness reflects traits most likely to be cognitively demanding, as shown in Table 2. In this category, we make use of a melding of fluid and crystalised intelligence (Cattell 1963) for discussion, although in the teardowns we rate them separately. This is in recognition of the tight coupling that exists between these concepts, and how difficult it is to unpick the impact of one on the other. The grading given for separate components represents a rough judgement of the relative burden the game may place on each. Almost every tabletop game requires a degree of physical interaction, whether it is moving pieces or shuffling cards. In this category, we assess the degree to which individuals with physical impairment might actually be able to enact such moves on their own behalf. We take into account how much movement is required, how often, over how large a space, and with what degree of precision. However, we also acknowledge that in cases where that may not be possible there is an alternative option of verbalising instructions for another player to perform. For this we need to take into account the degree to which the game enables another player to consciously or subconsciously ‘cheat’ when enacting the wishes of the other player. Table 4 outlines the facets of these we consider as part of this toolkit. For this, we consider communication beyond that implied by any social interaction—that which is required by the game to participate in the experience. Some games require players talk over strategy, or communicate intention, or ask questions, or read complex instructions. These all represent potential communication barriers to play, as outlined in Table 5. We assume in this category though that communication between players is largely a solved problem—that everyone involved has some combination of communication regimes that permits every day discussion to occur. These framework elements then relate to those complicating issues that may frustrate these regimes with regards to the specific playability of a game. The definition of accessibility shouldn’t be just in terms of disabilities—it also needs to encompass a kind of ‘sociological’ accessibility. It’s not just about ‘this is a game that I can play’ but ‘this is a game that I think is relevant to me’. There are games that are inaccessible not because of their physical design, but because they have elements of representation, of content, or of tone that are off-putting. We incorporate numerous socioeconomic elements into this framework as outlined in Table 6. One of the more important areas that must be considered when performing an effective teardown of the accessibility of board games is the degree to which intersectionality must be considered. The ability to verbalise instructions may not be useful to someone with a communication impairment. The use of symbols may be okay for someone with a visual impairment, but a problem if that is compounded by a cognitive impairment. The size of a hand of cards might be fine for someone with a physical impairment, but when compounded by a visual impairment it may become difficult to fully ascertain the context. As such, we include an intersectional discussion of each game for which we perform a teardown, assessing the way certain issues may compound problems. For this, we consider the elements outlined in Table 7. This heuristic toolkit does not replace traditional user testing—you are almost always going to get better results through sitting down and playing through games with impaired players. However, there are very significant costs that are associated with such user testing, especially since it involves getting groups of players, each ideally with a different suite of impairments, in a room at a specific time for a specific period. It involves teaching the game, many instances of playing the game, and careful observation and evaluation of the results. It requires an understanding of the subtlety of interpreting user feedback. It’ll often involve remuneration of participation, and the flexibility to deal with changes in arrangements, often at short notice. The framework we have put forward in this paper requires a single informed analyst, familiar with the nature of accessibility and the game in question. Documentation of a teardown may be a time-consuming process, but the act of building up the data set is one heavily derived from contemplation and consideration of elements in isolation and then in conjunction. The work of the Meeple Like Us project has combined the accessibility teardowns of twenty games with fully documented write-ups of each. The time investment is not trivial, but much lower than direct user involvement. This toolkit then can ideally be used as a preliminary evaluative pass over games. This would ensure that the common elements of accessibility have been considered before it is passed on to actual users for more nuanced feedback. Accessibility in board games remains an underexplored topic in academic and professional literature. This work represents a first attempt to codify some guiding principles under which it might be consistently assessed. It is important to understand this represents only an initial exploration of the problem space. Adoption of the framework by designers and publishers of board-games would offer an important step forward in addressing accessibility and inclusion. However, a more sustainable solution will require the development of generalizable compensatory regimes that make use of the full gamut of digital and analogue technology available. We expect the work outlined in this paper to inform future research in this area. ICV2 (2015). Hobby games market climbs to $880 million. Internal communication. http://icv2.com/articles/markets/view/32102/hobby-games-market-climbs-880-million. Roeder, O. (2015). Crowdfunding is driving a $196 million board game renaissance. Five thirty eight. http://fivethirtyeight.com/features/crowdfunding-is-driving-a-196-million-board-game-renaissance/?.